My favorite plant is a Christmas cactus, nurtured by my grandmother and then my mother. It’s over 80 years old. Her name is Helen. After her first caretaker. I have three plants on my desk at work: Beyonce (a pony tail palm) and her two companions “The Violets” (who are violets, that I inherited from an old colleague). 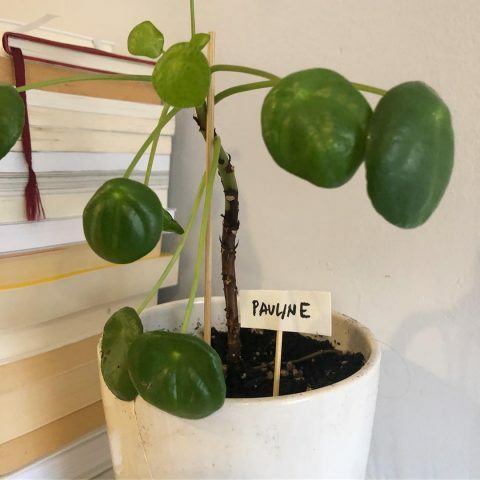 Their names give me and my coworkers a laugh and they do seem to be growing much better than their unnamed office counterparts. Coincidence? I think not! I have a potted fig tree named Isaac after Isaac (Fig) Newton ;) who also gives the office mates a chuckle. I once had a succulent named Emiliano Zapata. I loved that succulent! I just met a woman whose cat’s name is Fern and whose fern’s name is Katie, but they call her Kat. I have a sansevieria on my desk that is thriving and growing like crazy. Alas, she was unnamed. Until just now. This thread inspired me. So now I have Sansa, the sansevieria on my desk. She is very tall and regal! you always have to have a Robert (Plant) at least I always do. 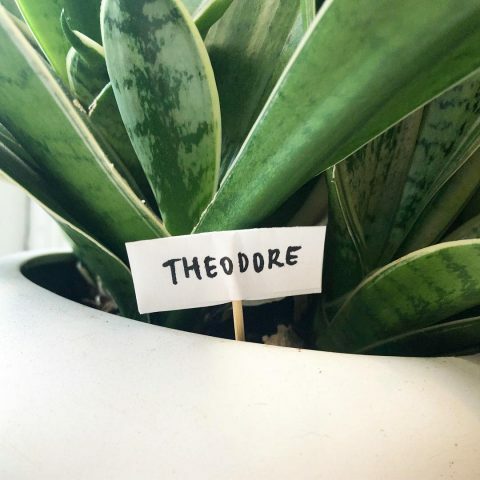 Naming plants is the best! I have Josué le palmier, Gisella the monstera, Lucien, and many more. We have a palm named Arnold (Palmer). I have a succulent named Abigail Adams, a little spiky plant named Ursula, a pathos plant in an orange pot named Clementine, and my first and favorite plant named Fredaricka, but we call her Fred. Such good little friends. Yes! I have Esmerelda, Stella and George! 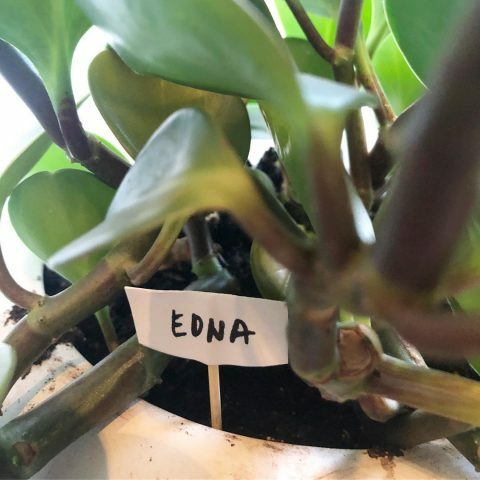 I used to have a house full of named plants including my favorite, a Hawaiian shefflera i won in a poetry contest and named e e (cummings). e e was with me for 25 years until I took in a cat that had five kittens. They killed every plant, even a very large spiny cactus named Ferlin (ghetti). I still have Mazzy and three of her murderous kittens and am slowly reintroducing yet-to-be-named plants. We have a big, beautiful, beloved palm plant at work named Guilda, after one of Canada’s first drag performers. I have a plant that my freshman roommate in college and I bought to decorate our dorm. We named it Leafy and when we left the dorm, I inherited Leafy. Since then, the plant has lived with me in 3 other states, been carried on 2 airplanes and 2 long road trips. Leafy has been part of my life longer than my husband, and has put up with a lot of forgetful watering and accidents. I have a Philodendron that I took home from my baby nephew’s funeral. It is named James after him. He was very small when he came home but he’s all grown up and 16 now and takes up a large portion of my front room now. There is also a staghorn fern named Stagley. But of the dozen other house plants, none with enough personality to get a name yet. They do eventually. I like to name plants! And, my family has always named our vehicles. I am driving my father’s truck…Z! Certainly! Rubber tree named Louise, pony tail palm name is Shakira, pothos named Victoria and her propagated thriving plant, Vicky2 and my beloved fiddle leaf fig is Frank with his dwarf fiddle friend, Fran.